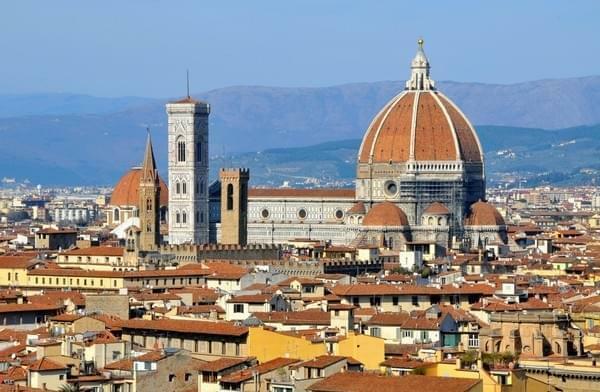 Florence remains one of the most attractive destinations in Europe, unfortunately the quality of accommodation is generally pretty average, more the tariffs are quite high. Let's begin this selection with the Hotel Cordova , a good location to visit the area on foot. The staff is friendly multilingual. The price of a double room around 50 euros (provided you take it a little in advance), the value for money are very good. Rooms have a private bathroom, some have a terrace. The hotel is located in the north of the city, roughly 10 minutes walk from the city's historic center. quote then Hotel Margaret , a good location, clean and offering a good price / quality ratio. The bathroom is common for most rooms, though some rooms have a private bathroom, count 60 euros per night for a double room (taking them in advance for reservation). The hotel is located near the central railway station, five minutes from the historic center. You will find many restaurants and bars in the area. Close to the station, also include the Guesthouse Amici Mie , this property offers simple, clean rooms with shared bathroom for 60 euros per night. A wi-fi connection is available in all rooms and a TV. also quote Loggia Fiorentina , a quiet, clean, welcoming and offering a good price / quality ratio. Located near the University of Florence, the historic center is only ten minutes walk. This property offers practical rooms with free Wi-Fi and a TV. Most have a private bathroom. Expect to pay about 60 euros for a double room in this hotel. Let's continue our tour of low cost accommodation in Florence with the Casa per Ferie Santo Nome di Gesu , located in the San Frediano district, ten minutes walk from historic center, this hotel features simple rooms and cheap, with private or shared bathroom for 50 euros per night. Finally, end this selection with Angoletto , a guest house located near the Beccaria place in the south of Florence, 5 minutes walk from the city center. It offers comfortable rooms traditionally decorated for about 40 euros per night. The bathrooms are shared. Apart from the city center of Florence we have selected four addresses turn first Hostel 7 Santi address a cheap and nice 30 minutes walk from the center. This hostel offers dorm beds from 11 euros per night. Guests enjoy free Wi-Fi and a common room with computer. quote then Hotel Masaccio , it offers comfortable and simple rooms for about 40 euros per night. The bathrooms are shared or private depending on the room. Guests enjoy free Wi-Fi and a TV. There is also available an Italian restaurant. Another example is the Hotel Nord Florence , near the A11 motorway, 4km from the center of Florence. clean, cheap, offering double rooms for around 40 euros per night. Finally end this selection with the B & B Calcio Storico , in 20 minutes walk from the Boboli Gardens. This property offers spacious rooms with free Wi-Fi, a TV and a private bathroom for about 55 euros per night. Quarter Host: north of Florence .